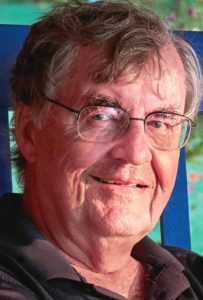 COOPERSTOWN – Thomas J. Selover, 76, of Cooperstown, a devoted family man, egalitarian and friend to all, passed away on Aug. 8, 2018. Born on April 24, 1942, in Merrill, Wisc., Tom’s parents, Anne and John, relocated his family to Murfreesboro, Tenn., when Tom was 14. In Murfreesboro, Tom would go on to earn both a Bachelor’s in Biology and a Master’s in Chemistry from Middle Tennessee State University. Tom began his career as a science teacher in Hernando County, Fla., then earned his Ed.D. in Educational Leadership and Policy from the University of Florida in Gainesville, becoming headmaster at Oak Hall Academy there. It was in Florida where Tom met the love of his life and his bride for almost 47 years, Lynda, marrying in December 1971. Tom and Lynda crafted a journey-filled family life through cross-country travels and life-enriching experiences. In Cooperstown, Tom served on the Cooperstown Central school board and the Village Library Board, and volunteered with the Cornell Cooperative Extension. His dedication to his family was always on display, especially with each of his three children, encouraging, mentoring and transporting them throughout their youth activities and helping them grow into their lives. He is survived by his wife, Lynda, and their three children: John and his wife, Amy, of Tallahassee, Fla., and their four children, Molly, Ian, Ella and Lilly; David and his fiancée Natasha of Cooperstown and Natasha’s son Max; and Whitney and her fiancé Brad of Fayetteville, along with so many friends who were like family in Cooperstown and Hyde Bay Colony. A celebration of Tom’s life will be 3-5 p.m. Saturday, Aug. 25, at Hyde Bay Colony (1445 County Highway 31). All are welcome to attend and share a memory of Tom. In lieu of flowers, the family requests donations be made to a scholarship fund that will be established in Tom’s name at Cooperstown Central School. Donations may be made payable to “Cooperstown Central School,” along with a note stating that the gift is to be directed to the Thomas J. Selover Memorial Scholarship. Donations may be mailed to Cooperstown Central School, Attention Business Manager, 39 Linden Ave., Cooperstown, NY 13326.